At home in Upstate New York, many bunnies lived around my property. I enjoyed watching them explore my yard as they nibbled on the grass ​and my flowers. 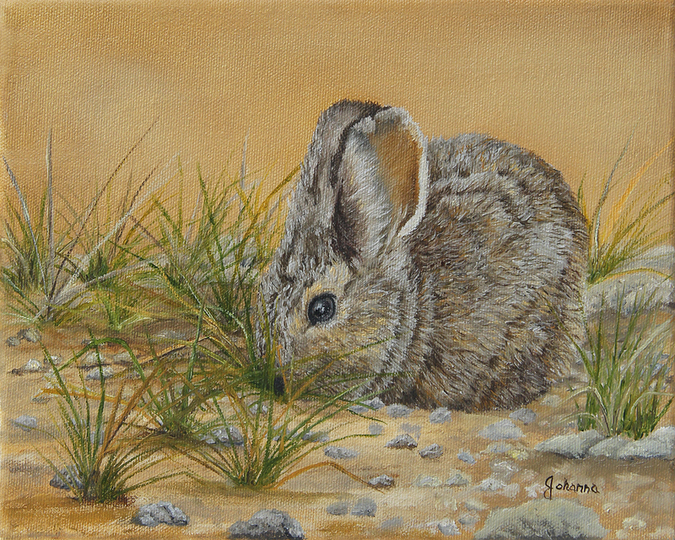 This painting of a "Little Bunny" reminds me home!